They are startling figures. Two leading charities have confirmed a sharp increase in the numbers of young people needing help with anxiety disorders. YouthNet, the national online charity for 16-25 year olds, and Anxiety UK say they have both seen increased demand for their online services that support young people. Anxiety UK said it experienced a 40% increase in visitors to their information sites and an incredible 106% increase in those accessing resources for parents and carers. In January YouthNet had 10,936 visitors compared to just over 9,600 at the same time in 2013. 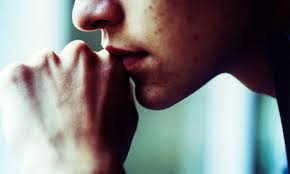 Both charities say the increase in figures compared to January 2013 highlight the need for reliable and trusted information for those coping with anxiety disorders. Incredibly, however, it isn’t just anxiety which is on the increase. The number of young people suffering from mental health illnesses is also up. A recent BBC News report stated that the number of under 18’s being treated in adult mental health wards is now in its hundreds. Believe it or not, around 1 in 10 young people experience mental health problems. In a school of 1,800 students there could be at least 180 people who are experiencing mental health difficulties. It is a remarkable figure. Mental health and anxiety have never really affected me. But researching the topic has really taught me that the issue is a growing problem amongst the UK society. So what has the government pledged to do? A Department of Health spokesperson said such experiences are very “distressing” for young people and their families. Furthermore, it was confirmed the department had invested £54 million to improve services including better monitoring and more access to specialist treatment. The figures on anxiety have led to YouthNet to create a series of videos and Anxiety UK says that throughout 2014 there are plans to increase services within schools. BBC Radio 1’s Newsbeat report on anxiety last week gives anyone, like me, an insight in to the life of someone with a mental health problem. The case study of twenty-one year old Anjeli Shah is breathtakingly striking. It is unbelievable to think of the symptoms described. She says she feels “quite panicky…my chest gets quite tight…I get out of breath”. Despite visiting her local doctors it wasn’t until one GP spotted signs of anxiety that she was eventually referred to a counsellor. Anjeli also sought guidance and support from YouthNet. Mental health does not just affect the mind. It has a bigger impact on the daily lives of so many people. Whether it be commuting to work or unable to go out alone, mental health is a huge social concern. There is no definite cause of mental health. It has nothing to do with social background, lack of character or upbringing. Such issues can affect people of all ages, genders, races and income. There are guidance and services available but with the rise in mental health and anxiety amongst young people, there needs to be specialists in every school to work with students. There is nothing to be afraid of. With celebrities supporting the causes of such issues, the consensus is about being positive and tackling mental health with others around you. I am no expert. But what is clear is that the number of people suffering from anxiety and mental health problems is on the up and these people need to be helped and supported in appropriate surroundings with appropriate guidance. There is some brilliant advice from YouthNet and Anxiety UK. 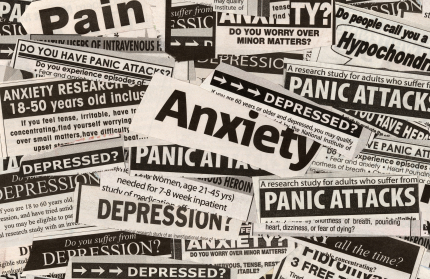 BBC Radio 1 Newsbeat’s report on anxiety is also well worth a look. All the links are below.